Since 1997, our top-rated women family law attorneys in Tampa, Florida, at the law firm of All Family Law Group, P.A. provide understanding and supportive help with your family law case from inception through finalization. It is all of our goals to provide the best representation possible for all of our men and women clients. We will address your case efficiently, personally and effectively to meet your legal needs quickly and as economically as possible during this difficult time. This can be accomplished especially if both parties are in agreement. If both parties cannot come to an agreement and litigation is necessary, then we will provide thorough and competent representation for all of our clients’ best interests. Our attorneys have a combined approximate 50 years experience in divorce and family law. With offices throughout Tampa Bay, our family lawyers are well-situated to help clients with divorce and other family law matters. However, much can be accomplished via telephone, email, and video without the necessity of your coming to our office. Contact us today by telephone at 813-672-1900 or email us if you are seeking a skilled and knowledgeable Tampa family law attorney for a free consultation to discuss your circumstances. As a full-service family law firm in Tampa, Florida, our lawyers provide comprehensive assistance over a wide range of family law matters, including, but not limited to, post judgment modifications of child support and custody, paternity, as well as issues that may arise in the context of a divorce or remarriage. We can also help you with you with stepparent and relative adoption, as well as changing the legal names of spouses and children. Our highly rated Tampa Bay family law attorneys are available to help any time a need arises in any of these areas of law. Furthermore, we offer help in criminal defense cases as these are family related matters. Click on a topic below for more detailed information on that particular area of family law. 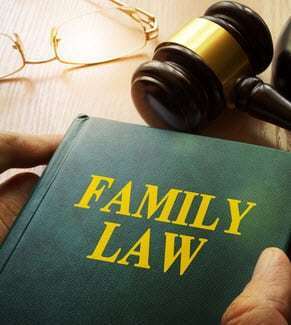 Our Tampa family law lawyers provide sound legal advice and high-quality representation to assure that you are well-represented in the family law process and that your needs are met now and into the future. Child relocation means relocating more than 50 miles away from the other parent. You can ask for relocation in a divorce petition or subsequent to a final judgment divorce. There are procedures which must be followed for the relocation to be legal. Essentially, you are required to serve the request by process server on the other parent. If he or she does not file a response within a certain time period, then you can obtain a default. If he or she does respond and objects to the move, then the court must decide whether to allow the relocation. It is primarily based upon the best interests of the child. Furthermore, it is possible to obtain an agreement from the father or mother allowing for the relocation and obtain a court order on the agreement without the necessity of a hearing on the matter. Modification and enforcement of final judgments pertain to children issues such as child custody and child support. These matters can always can be modified except that it requires a substantial change in circumstances that could not be contemplated at the time the prior order was entered. Furthermore, it must be in the child’s best interest to make the change. The division of assets, debts, retirement accounts, etc. cannot be modified by the court following a final judgment on the matter. If the parties agree to the change, than an agreement can be signed and a court order obtained. Mediation – Is required in Hillsborough County if the parties cannot otherwise come to an agreement. Most hearings for temporary child support, child visitation and custody and alimony, etc. will not be heard by the court until after mediation has occurred and the parties are unable to resolve their differences. Your options are county mediation for cases involving easily resolved issues and private mediation for cases with more complex issues. Child Support Modification – After an initial order on child support of a final judgment of divorce is entered, child support can be modified as long as the change would be at least $50 or 15% – whichever is greater. This is considered a substantial change in circumstances. Paternity – Including helping you as a mother seeking child support payments from the child’s father, and you as a father seeking to establish fatherhood and to obtain time sharing/visitation rights. as well as to determine child support. Essentially, both parties are in some way responsible for child support as determined by the Florida Child Support Guidelines. Civil (or Criminal) Domestic Violence – We can file a domestic violence injunction and work to obtain a temporary or permanent restraining order to protect you and your family. We can also help you if there is criminal domestic violence charge. Adoptions -We handle adoptions of both minor children and adult stepchildren or relatives, including contested adoptions. If the other parent agrees to the adoption then it is fairly easy to accomplish. If not, as for children there are statutory requirements concerning abandonment which must be found to overrule an objecting parent. Name Changes – We have helped thousands of Floridians legally change their name or their children’s name due to changing family status or for personal preference. This is especially important to change your name legally to obtain your Florida Driver’s License. For advice and assistance in any family law matter in the Tampa Bay area including all of Hillsborough County, Pinellas County and Pasco County. contact the law firm of All Family Law Group, P.A. online or call 813-672-1900 to schedule a free consultation with an experienced Tampa family law attorney who has your back and is ready to help you meet your needs. Se habla español. We will respond to you at our earliest opportunity!